Italy in the spring. It means blossoms and longer, warmer days. Early on, it usually means rain too but also a gorgeous landscape of luminous, bright green pastures of new growth. It means fritelle. It means Easter and plenty of fresh eggs, especially from my sister in law’s busy hens. But, most of all, to me, it means artichokes. There is nothing, and I mean nothing, like the variety and availability of good artichokes in Italy. 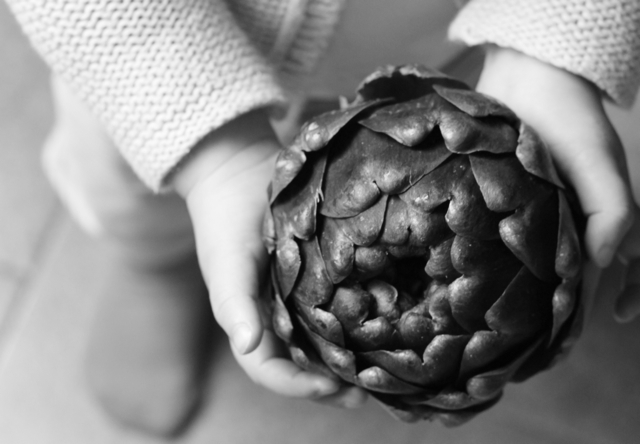 The varieties (and uses) change from region to region but here in Tuscany, the violetto artichokes, named for their violet-coloured, slightly pointed leaves, reigns, closely followed by mamme, also known as mammole or Romanesco artichokes – large, round, globe artichokes. I’ve been enjoying them braised, fried, raw with Parmesan and olive oil. 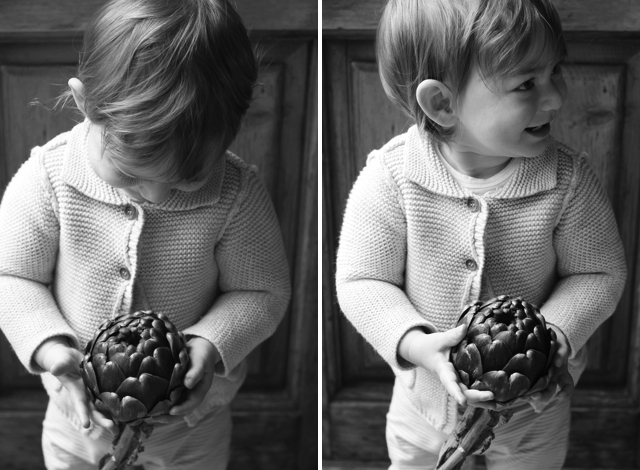 There’s no such thing as too much when it comes to artichokes in this house. So when it came time to choose a recipe for Italian Table Talk (which has, due to busy schedules, turned bimonthly) to the theme of an Easter picnic, it had to have artichokes in it. 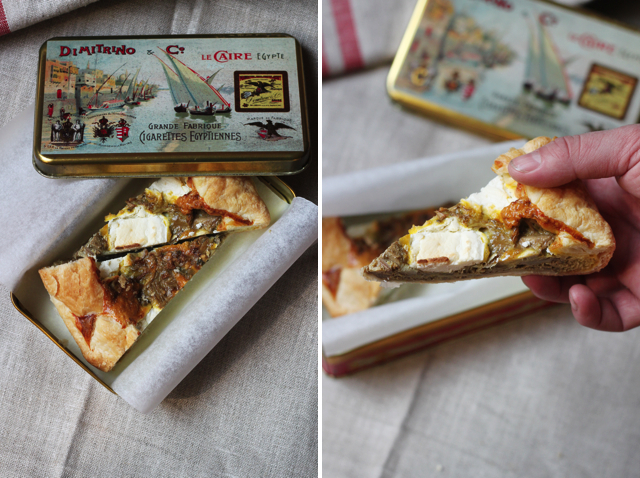 I’ve long been wanting to write a post about the torta salata, a literally, a “savoury tart” and the Italian equivalent of a quiche. Torta salata is my go to dish for any picnic or whenever I need something portable – it travels well, you don’t really need cutlery or even a plate to eat it and although it’s very forgiving when reheated, it’s just as good eaten cold as it is warm. 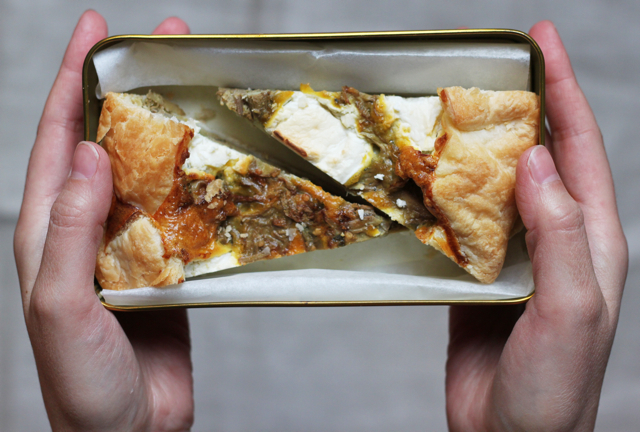 Pop a few slices into a little box and you’ve got a great Not Sad Desk Lunch or lunch on the run. The torta salata – made with either a short or puff pastry holding a mixture of eggs, cheese, meat, vegetables and herbs – is an ancient dish, probably one of the most characteristic dishes of European medieval cookery. One of the reasons for its popularity is that the tart itself had its own dish. 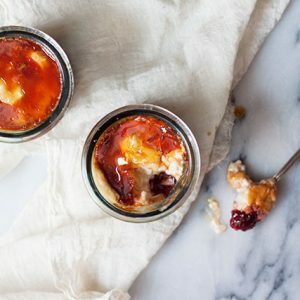 The pastry makes the perfect container – in fact, until the late Middle Ages the pastry case wasn’t eaten but was mainly a container for the eggs and cheese. Towards the end of the 14th century, pastry making (like everything else to do with gastronomy) became a little more sophisticated and an edible pastry crust was developed. It was around this time that The Forme of Cury was written – one of the oldest known manuscripts on cookery in the English language – and a recipe for one of the earliest known savoury tarts was penned, the Tart de Bry. A tart about an inch tall consists of a pie crust filled with beaten eggs and autumn cheese, powdered ginger, sugar, saffron and salt, then baked. Aside from that medieval penchant for sugar and spice, it’s really no different to how tarts are still made today. 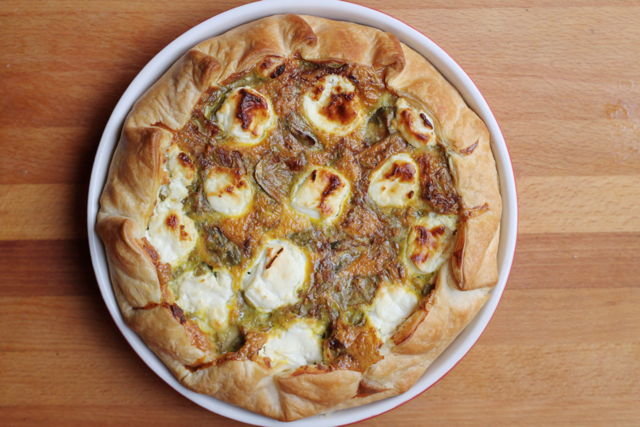 This artichoke tart is a simple preparation, once you get the hang of preparing artichokes. If it’s your first time, I’d thoroughly recommend browsing some of the many youtube videos out there on how to do it. 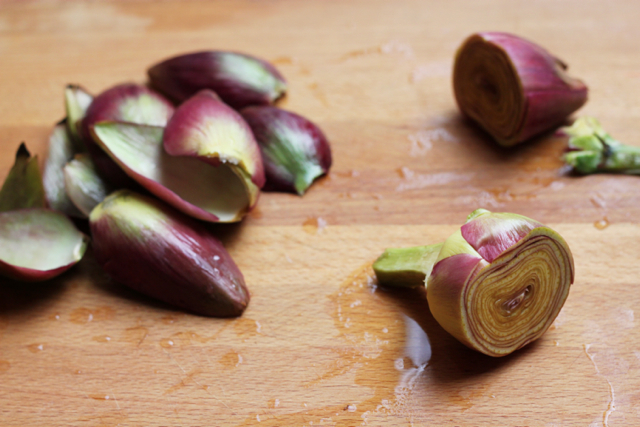 The combination of eggs and artichokes is a typical Tuscan one. I like the addition of some goat’s curd in here too – the acidity goes nicely with that bittersweet flavour of artichokes. If you wanted something heartier, you could add some fennel sausages, casings removed and the meat just crumbled into the eggs. You can also do this with cardoons in the winter – the artichoke’s wild relatives – or asparagus, another favourite spring veg. Come and join our spring picnic, it’s just the thing for the day after those big Easter meals, being outdoors in the fresh air and nibbling on something light and seasonal. Giulia also has artichokes on the mind with this fabulous “focaccia” from Salento. Valeria gives us a recipe from the Veneto’s Bassano del Grappa with white asparagus and Jasmine brings a rice salad with peas, fava beans and wild asparagus. You can use either a short pastry or puff pastry for this – or do it without pastry, like an oven baked frittata. I must admit that for this tart in the photographs I was a little pushed for time so I used a store-bought puff pastry. But next time, I’ll definitely go for this rough puff. First, prepare the artichokes. Snaps the outer leaves off, turning the artichoke round and round as you go, until you can feel the leaves become much softer and paler. You’ll be taking off quite a lot, don’t be alarmed. Trim the stalk to about 3cm and peel a bit of the stalk. Chop the tops of the artichokes off (about halfway), then cut in half lengthwise and remove the fluffy centre with a teaspoon, if present. Plunge the artichoke halves in a large bowl of water with the lemon juice and let them rest here until you have finished preparing all the artichokes. Finally, slice the artichoke halves thinly. In a wide skillet, heat the olive oil over a low heat and gently cook the onion. When soft, add the artichokes with a pinch of salt and turn the heat up to medium. Cook a few minutes, add the wine, and continue cooking until soft, about 10 minutes. Set aside to cool slightly before adding to the eggs. 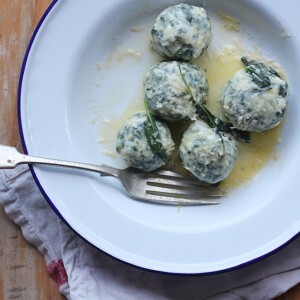 In a bowl, whisk the eggs with the Parmesan cheese, herbs and season with salt and pepper. 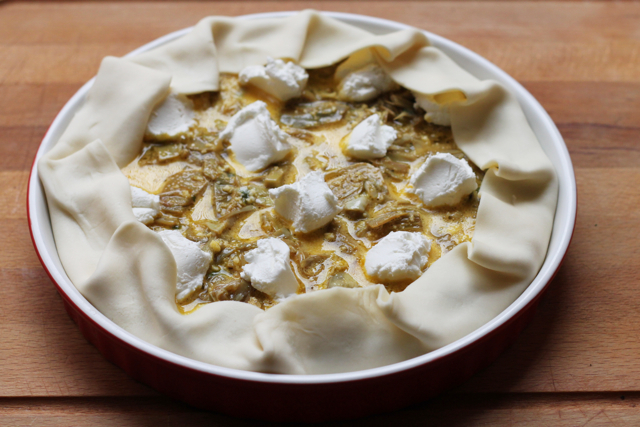 Add the artichokes and pour into a pie dish lined with your chosen pastry. Dot the top with the goat’s curd. Bake in the oven at 180ºC until the top is golden brown and puffed, about 25 minutes. Oh artichokes! 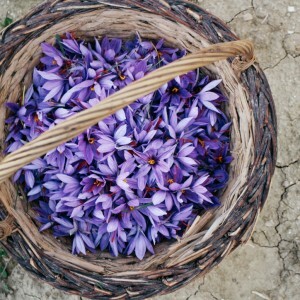 I love them so much, and I feel very lucky to have access to all the varieties outside of Italy. 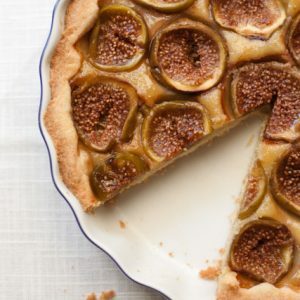 Yet, this won’t stop me from eat them shamelessly once there This tart looks simply fantastic, and I am really curious about the addition of goat’s curd –which I am also addicted to. Must try it before the season finishes. There is nothing better than asparagus and eggs, so simple yet divine. As you know from my previous comment, I love reading historical facts about food and am particularly fond of the Middle Ages, so thank you for the description. this tart looks gorgeous, I bought artichokes at the market last week but sadly they were too far as they were already started to get the flower so not enough ‘meat’ on them. Very hard to get good ones here. that store bought pastry looks quite good actually! Haha, they are quite hard work but totally worth it for the flavour and texture! 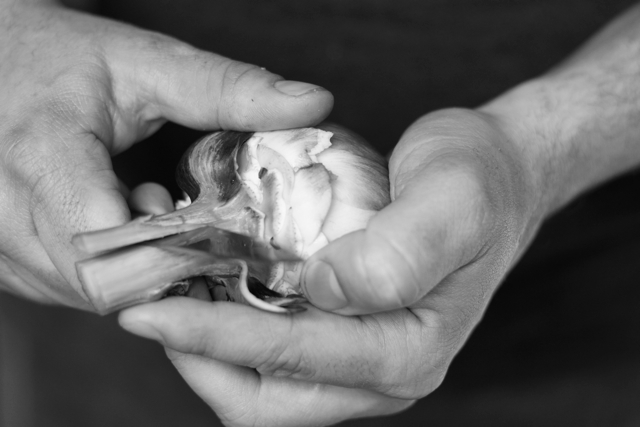 You could probably do this with jarred artichoke hearts if you wanted to and skip the hard work but it won’t be as delicate. The wine mentioned in the instructions is not in the ingredients list. How much should I use? You are right! I’ll change it immediately, I add about 100 ml (1/3 cup plus a tablespoon) or so. What a delicious tart! I really like your creations and photography. Everything very professional! Stunning photography and this tart looks delicious, definitely something I’ll give a try. Thanks for sharing Emiko! Best combination of asparagus and eggs. This tart seems delicious. Will surely try.